Please Note: We have restricted our "Breakfast" arrangements for bookings after October 1, 2015. There is now an additional charge for the limited breakfast services we can provide. See information at the foot of this page. 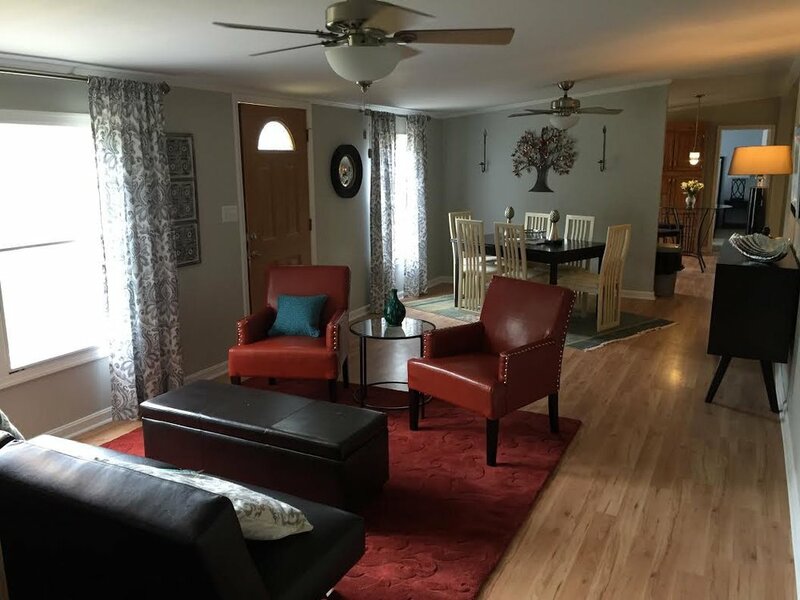 Entire House: Includes James Room, the Dolley Room, Efficiency Suite, and the Bunk Room, four full baths, living room, den, dining room, large eat-in kitchen, laundry, patio with hot tub, mountain views and sunsets from front porch. Two nights minimum for week-ends except while Winter Rates are in effect. Rates become negotiable if we have space unbooked less than a week out from your planned stay. Servants' Cottage: Fantastic renovation of former "duplex" quarters for house servants, dating from 1856. The original quarters now forms a large suite, with queen bed, dining area, and living area, which includes a sleeper sofa. An addition provides the space for a full kitchen and bath. Best of all, you have a covered/enclosed patio which is perfect for outdoor grilling, dining and relaxing. Since we renovated and opened this space in 2012, it has been a universal favorite. Winter Rates - 30% off Dec. 1 - March 31(excluding holidays). See more pictures on our Photos Page. Pond House: Modern, casual living, with screened back deck overlooking a beautiful pond (geese, ducks, frogs, and fish included). One queen bed, one bunk bed with double bed below, plus queen-sized sleeper sofa in den. Washer-dryer and fully equipped kitchen. Winter Rates - 30% off December through March (excluding holidays). Milker's Cottage: Classic former tenant house, surrounded by horse paddocks. Interior has been magically transformed with gorgeous colors and furnishings (see Photos page). Master bedroom has queen-sized bed, with full bath. Second bedroom has two sets of bunk beds, one with full bed on bottom. Second bath off hall. Sleeper sofa in living room allows total of nine guests. 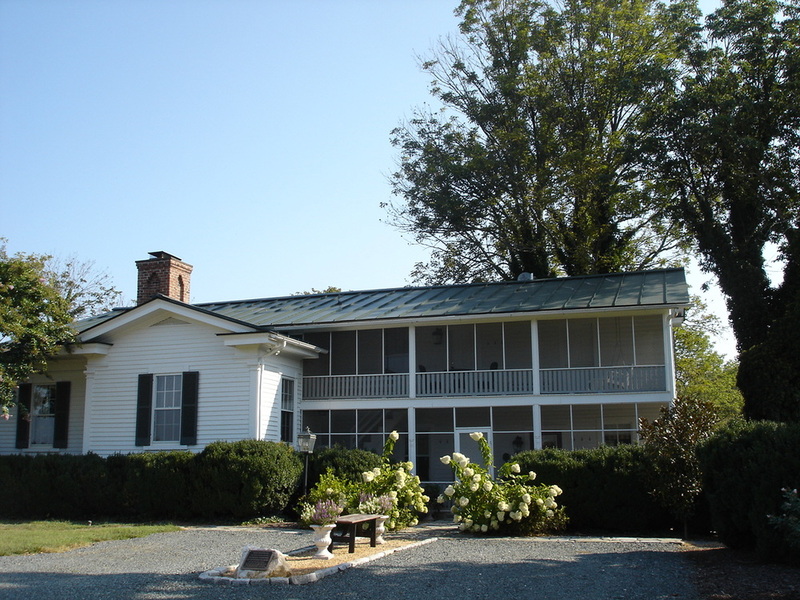 Fully equipped kitchen, screened porch for outdoor dining plus interior dining room, fireplace, outdoor firepit, washer-dryer. $295/night week-ends (Fri. & Sat. ); Two night minimum on week-ends except when Winter Rates are in effect. Winter Rates - 30% off Dec. through March (excluding holidays). Baldy's Retreat: Our "tricked out" modular home will surprise you. Don't be fooled by the Plain Jane exterior. Open the door to a spacious, open floor plan, with upscale modern styling in all the furnishings. 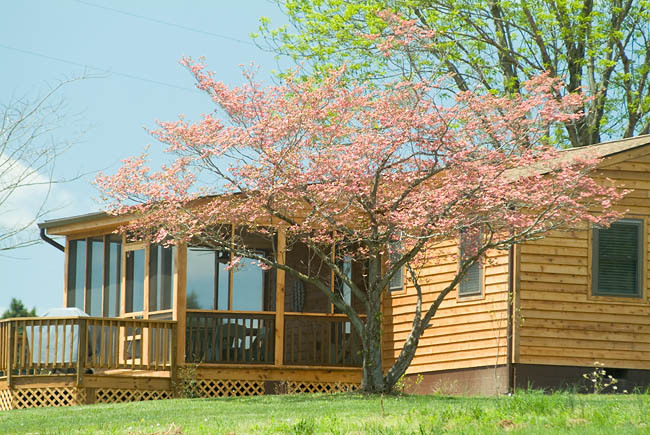 Tucked away down its own drive, nestled at the edge of the woods, Baldy's Retreat provides accommodations for up to 13, with four bedrooms and bonus room, two baths, large deck, and great open living/dining room and kitchen/great room with huge fireplace. Master bedroom has king sized bed; bonus room off Master has set of bunk beds; Bedroom 2 has queen bed; Bedroom 3 has two sets of bunk beds; Bedroom 4 has a set of bunk beds with double on the bottom. $495/night week-ends (Fri. & Sat. ); Two night minimum on week-ends except when Winter Rates are in effect. Barn Apartment: We have converted the former tack room/lounge/office wing of the barn into a sweet one-bedroom apartment, with full kitchen and bath. And it is handicapped accessible! Great views from the many windows, and horses all around. Queen bed, plus queen-sized sofa bed in living room. 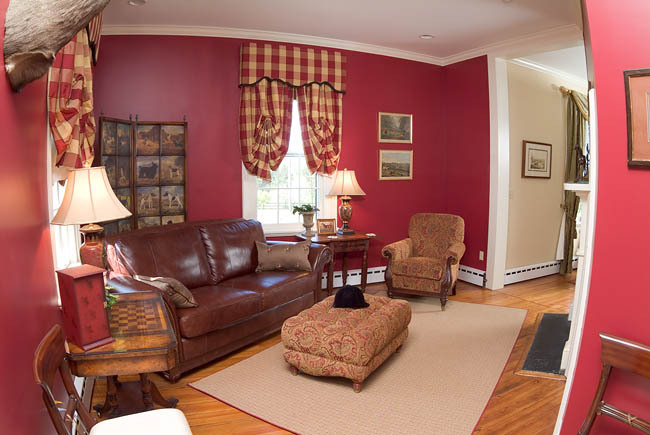 $250/night week-ends (Friday & Saturday; two-night minimum on week-ends except when Winter Rates are in effect. $200/night Sunday through Thursday nights. 30% off Winter Rates Dec. through March (excluding holidays). 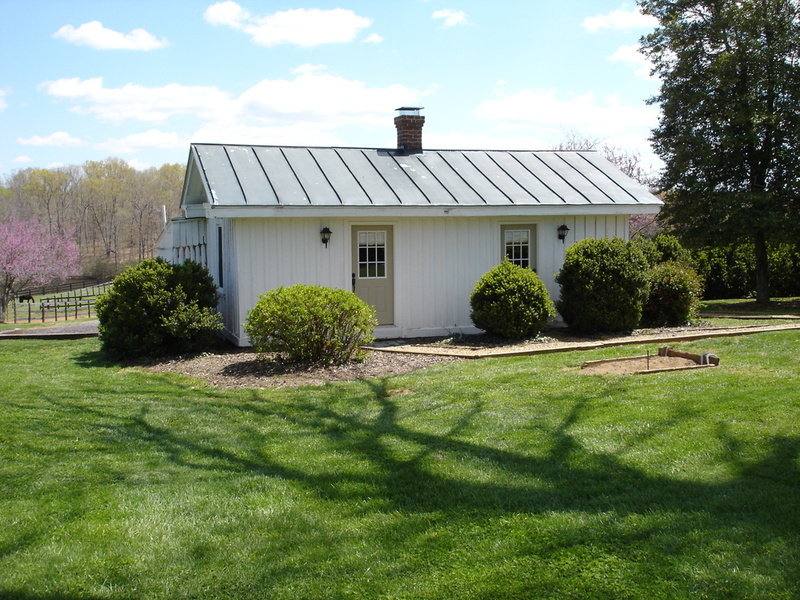 Cox Mill House: Three bedroom, two bath modular home just outside the back gate of the farm. From the front deck, your view is of our largest horse paddocks and the farm complex. Renovated and furnished in mid-2017. Interior furnishings are very similar to Baldy's Retreat, very stylish and lovely. Choice of breakfast groceries or continental breakfast basket provided for Manor House Suite, Pond House, Servants' Cottage or Milker's Cottage, or to guests booking entire Manor House - Extra $10.00 per guest per night. 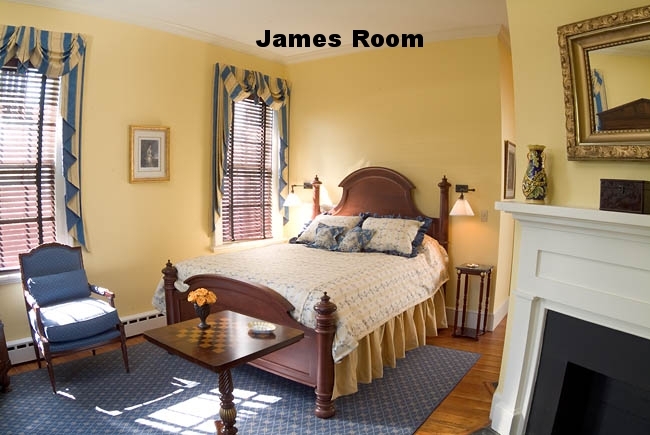 Prepared Breakfast for guests booking James Room, Dolley Room or Bunk Room only: $25 per guest per night. Must be arranged at time of booking. Over 95% of our bookings are Vacation Rentals, where our guests bring (or purchase locally) their own groceries and prepare all their meals in the kitchens of the houses. We still occasionally accept single room bookings in the Manor House where we agree to prepare breakfast and serve it in the Manor House dining room. Also, we occasionally have guests in the smaller houses or the Suite who are arriving late or otherwise have reasons to have us shop for the breakfast groceries or provide continental breakfast baskets. We will still do this if it is arranged in advance, and these services are no longer included in our standard pricing.